There are vacations where all you do is to lay on white beaches, take a swim and sip coconuts or other refreshments during the day, and you can call that a successful vacation, and there are vacations where you could mix it with great and unforgettable adventures above, but very much also, below the sea-level. In Phuket you can actually combine both with ease, without taking too much time out of your daily recreational schedule, or too much money out of your wallet. At Nautilus Diving at Karon Beach we have all the equipment to make a seasoned diver out of even the earliest adopter to this great and fun sport. You don’t have to worry about anything, as we take great responsibility in each of our divers, no matter if they are new or experienced. We want to give as many people as possible the opportunity to explore the seabed with us, so we take the training, the general instructions and the diving-sites into very close consideration before getting started. Our team of seasoned instructors are well-experienced in their skills and have many hours of diving in their tanks. You can therefore rest assured when going diving with us, as our target is to make your first (or next) diving trip a truly unforgettable one, without any unpleasant surprises. That’s also why we monitor the diving sites closely before starting out on a journey with our divers. 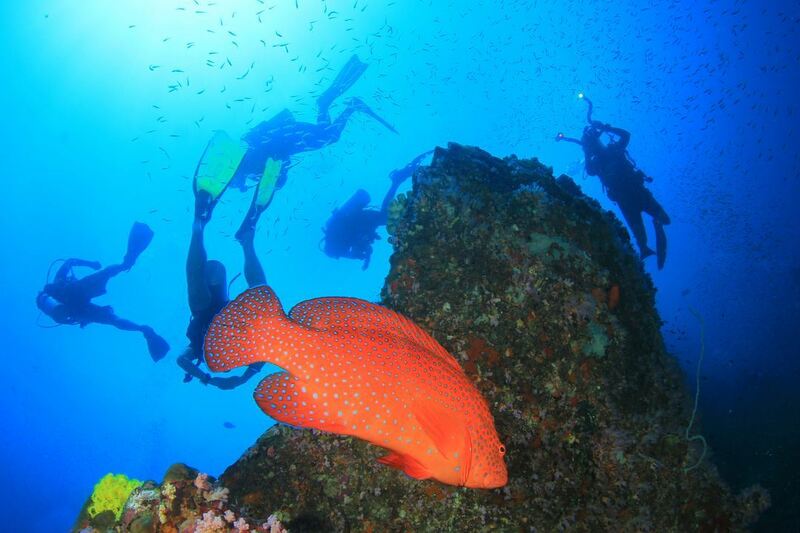 Come dive with us – enjoy the amazing seabed in Thailand and create memories that you’ll never forget!